As Alfred Hitchcock&apos;s classic thriller, The Birds, taught us, a romance between a lawyer with mother issues, and a wealthy socialite can only end in one way: vicious, potentially fatal pecking. Perhaps fearing a similar incident, The Weeknd spends his latest single (Part 1 in a series) desperately trying to dissuade a certain female from falling in love (or making him make her fall in love) with him. Whatever his reasons may be, though, they must be damn important—in contrast to the narcotically hazy vibes of past features Rolling Stone and The Morning, beatsmiths Doc McKinney and Illangelo set a mood of urgency on the production tip. The T-Dot singer adapts his vocal stylings to mach, lacing their layered vocal effects and ominous martial percussion rhythms with emotionally-fraught pleas—in the process making full use of his wounded falsetto. 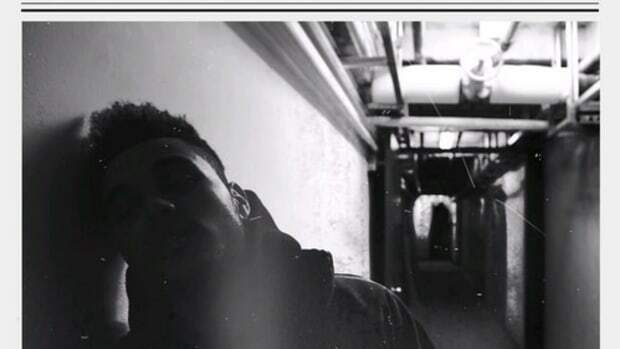 Thursday, the second in Weeknd&apos;s mixtape trilogy has yet to receive a release date; in the meantime, though, fans can still download inaugural installment House of Balloons at the artist&apos;s official site.